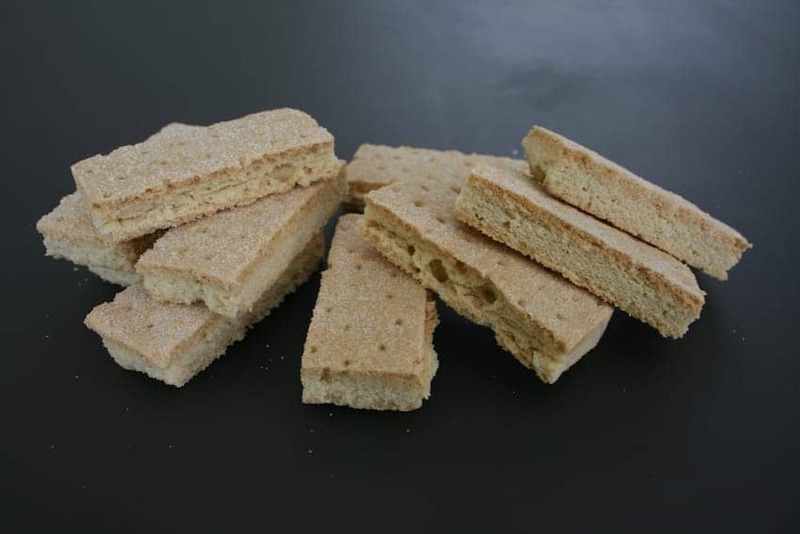 The history of shortbread goes back to at least the 12th century and originally started life as biscuits that were made from left-over bread dough that was dried out in the oven to form a hard, dry rusk. This practise took place over the whole of the British Isles, not just Scotland though Mary Queen of Scots reportedly became a fan in the mid 16th Century. Large amounts of butter are used to make it short and crumbly, making it a relatively expensive treat bought for celebrations such as Christmas and Hogmanay (Scottish New Year) when peel and dried fruit might also be added.